A Midlands property company has broken through 500 homes mark over the past four years and is on course to deliver hundreds more properties before the end of the decade. 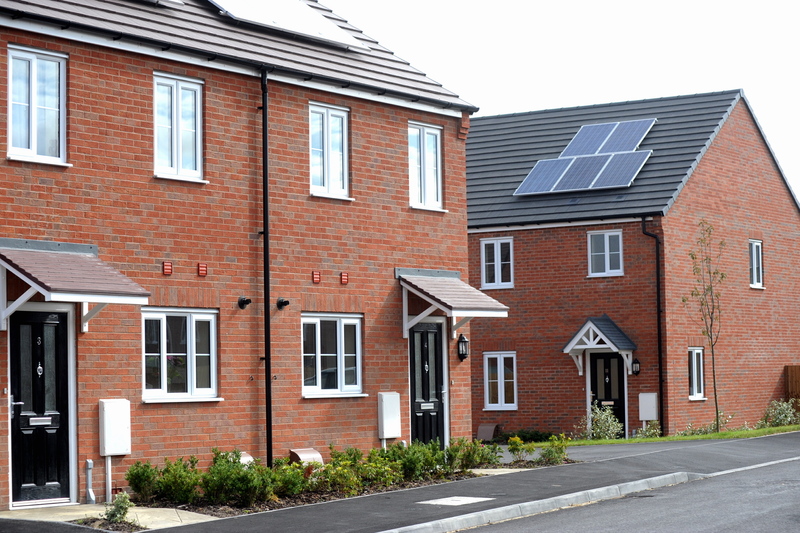 The Deeley Group, based in Coventry, has delivered 552 units across Warwickshire since it worked with Bromford Housing on a development in Arley, North Warwickshire, in 2014. Through its offering as both a developer, Deeley Properties, and a main contractor, Deeley Construction, it has worked in partnership with a range of housing groups and associations on projects valued at close to £75million. The biggest scheme was 179 units for Orbit Homes at Queensway Court in Leamington – part of a major regeneration scheme – and Deeley has worked with the company on three further projects since 2015. The group has a further 290 units lined-up between now and 2020 including in Southam, Warwick, Leamington and Coventry. In addition, there are potentially 92 more homes across the region that are currently going through planning, while the company has secured a place on Homes England DPP3 framework and also the WM Housing Framework. Pat Moroney, director of Deeley Properties, said: “It’s been a very positive few years for the Deeley Group and reflects our ability to deliver new homes schemes in partnership with housing groups and land owners. “Our work, with those companies, has helped to deliver well over 500 new homes for communities in our area and will be pushing 1,000 should we be successful in achieving planning in some new schemes we have in the pipeline. “As an SME contractor and developer, we have the agility and integrity to offer our clients an end-to-end and personal service that helps them to deliver high-quality, affordable living homes. “We can secure the land, work with them on permissions and site preparation and then, through Deeley Construction, actually build the homes too. 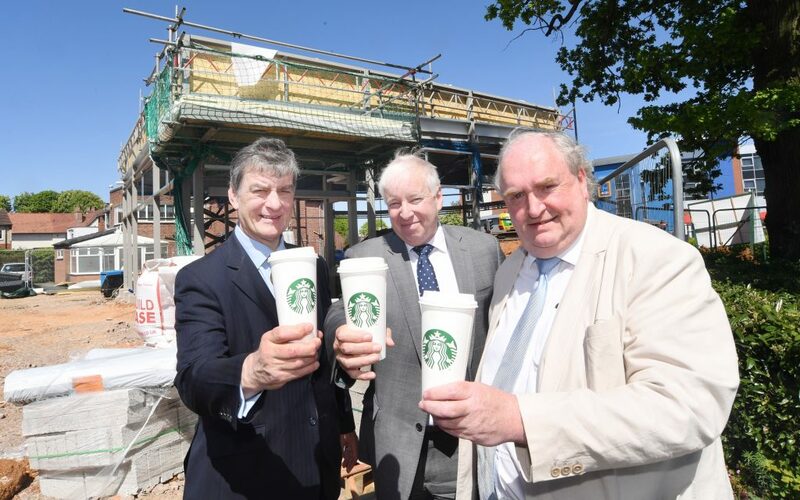 A new Starbucks drive-thru restaurant is being created on a main road into Birmingham. Deeley Properties, in partnership with Ziran Land, acquired the site adjoining the Maypole Roundabout earlier this year from a private landowner. The companies identified a potential use for the land and have agreed terms with Starbucks on a 15 year lease to create a new restaurant. Holt Commercial, chartered surveyors with offices in Birmingham and Coventry, concluded an investment sale for the completed property to Custodian REIT. It is being built by Deeley Group’s contractor division, Deeley Construction, and it is anticipated it will be handed over to Starbucks in July. Pat Moroney, a Director of Deeley Properties, said: “This is a development that shows the agility of the Deeley Group because we can bring several elements to the deal. “We have been able to put together a package, in partnership with Ziran Land, which is attractive to Starbucks and, subsequently to an investor. Wade Commercial acted for Custodian REIT. 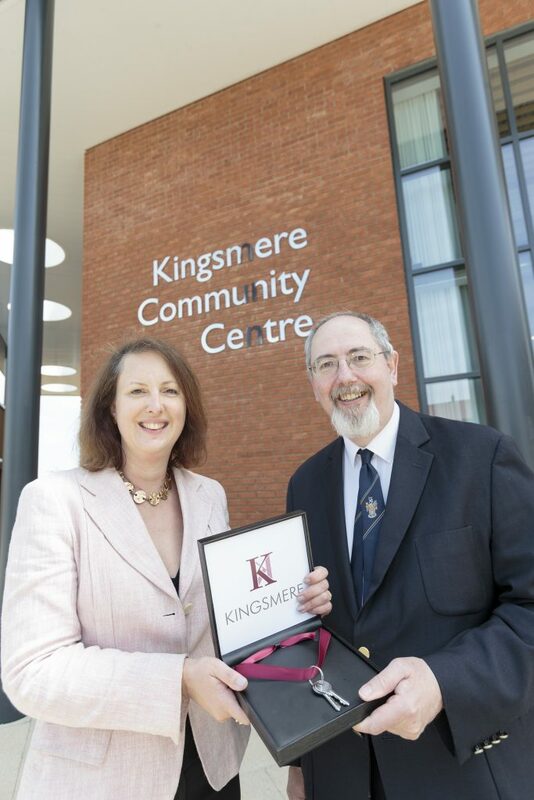 There was a double celebration at Kingsmere, Countryside Properties (Bicester) Limited’s development in Bicester on Friday 18th May as MP, Victoria Prentis handed over the keys to the newly built Community and Youth Centre buildings at Kingsmere Village Centre, to Cherwell District Council. At the same event, children from St Edburg’s Primary School unveiled two beautiful new public artworks created for the village centre. Victoria Prentis was on hand last October to mark the start on site of the community centre and youth centre buildings and laid the first brick. 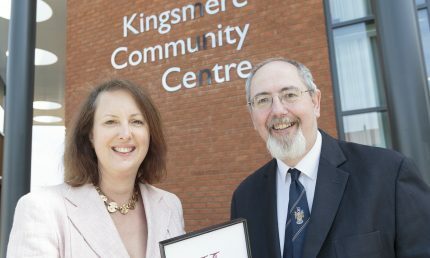 It was fitting that she returned to Kingsmere to formally hand over the keys of the buildings on behalf of the developer, Countryside Properties (Bicester) Ltd to the leader of the Cherwell District Council, Councillor Barry Wood. Renowned public artist, Suzanne Driscoll, has created two striking pieces of art for Kingsmere. The much-anticipated installations, commissioned by Countryside Properties (Bicester) Ltd, with the support of Cherwell District Council’s arts team, are both situated within the village centre, in the heart of Kingsmere, and provide eye catching landmarks in the village. Suzanne worked closely with the pupils of St Edburg’s Primary School to come up with the creative themes for her artwork. Suzanne Driscoll comments: “From the start I wanted to create visual treats; artwork that people could step into, walk through and look at from below or from the sides. With these thoughts in mind my design for the pieces gradually immerged. Though tall in stature and made from modern materials, the structures have an intimate feel. The larger piece is positioned as a focal point at the centre of a circular seating area and will act as a meeting place, a relaxing area or a zone for contemplation. It features imagery of the plants that grew on the former farmland at Kingsmere. These wonderfully intertwined designs embrace Kingsmere’s roots and history for the community. The thriving village of Kingsmere also includes a new primary school and secondary school due to open next year. Kingsmere is served by excellent transport connections and the development is home to a selection of house styles which have proved hugely popular for a range of home buyers. 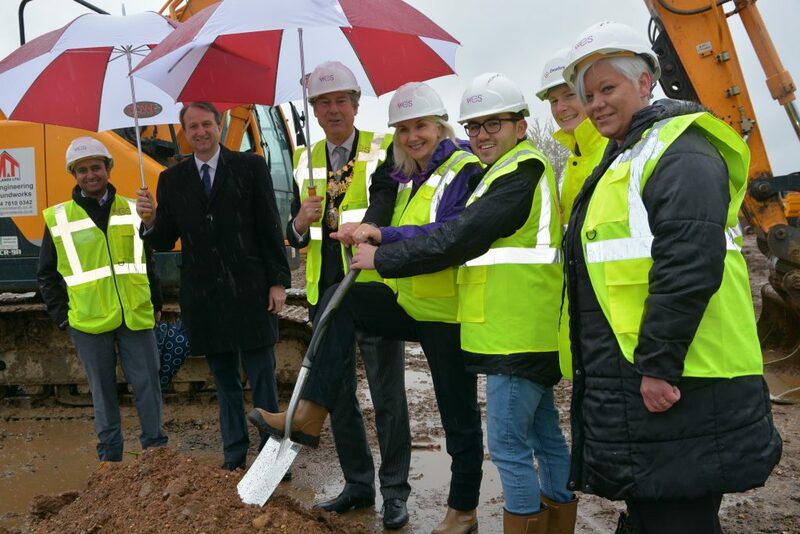 A new £7.5 million dementia specialist care home in Warwick is a step closer, as WCS Care officially marked the start of construction with a ground-breaking ceremony. The state-of-the-art care home is being built by Deeley Construction and has been designed for the Warwickshire-based charity by Warwick-based architects Robothams. It will replace the former Woodside home on Spinney Hill, which closed for demolition in 2017, as part of the multi-million-pound redevelopment. 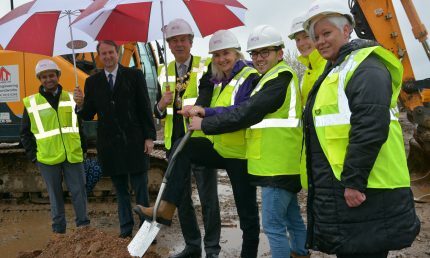 Residents, staff, and invited guests – including the Mayor of Warwick, Cllr Stephen Cross, and Cllr Richard Edgington – gathered to celebrate the turning of the first sod at the site, which will become a deluxe village-style experience for 72 older people and people with dementia. The new home, which is due to open in the summer of 2019, will include family-scale households for up to seven people, with en-suite showers and toilets for everyone. There will also be a relaxing spa, pamper salon, deluxe cinema, shop, café, and fully-staffed, traditional launderette, as well as table tennis and companion cycling for two – all designed to ensure the people who live there enjoy life as much as possible. The new home will feature the latest technology that will enhance and integrate into daily life without being intrusive, including circadian rhythm lighting and night-time acoustic monitoring to help ensure a good night’s sleep. Smart phone apps connected to mobile care monitoring will mean carers spend more time with residents. It’s linked to a Relatives’ Gateway, where people can check and interact with their loved one’s care 24-hours a day, wherever they are. Christine Asbury, WCS Care’s Chief Executive, said: “The excitement is building as construction work begins on our inspirational new home in Warwick, which will feature many of the ideas and approaches that have already had a positive impact on health and wellbeing in our other homes. The name of the new home in Warwick, built with support from a £5.9 million funding deal from the Royal Bank of Scotland, will be revealed in the coming months. Edward Hudson, Business Development Manager at Deeley Construction, said: “We are very pleased to get work underway on what is an exciting and much-needed development. Work is underway on a new affordable homes scheme in Leamington. 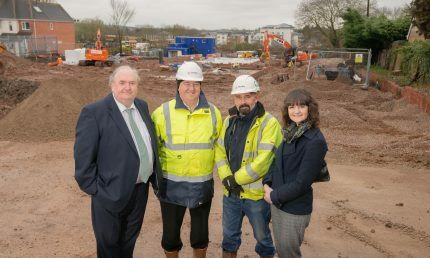 The Deeley Group is working in partnership with Waterloo Housing Group and Warwick District Council to create 18 affordable homes on the site of the former Dairy Crest premises off Quarry Street and Old Milverton Road. 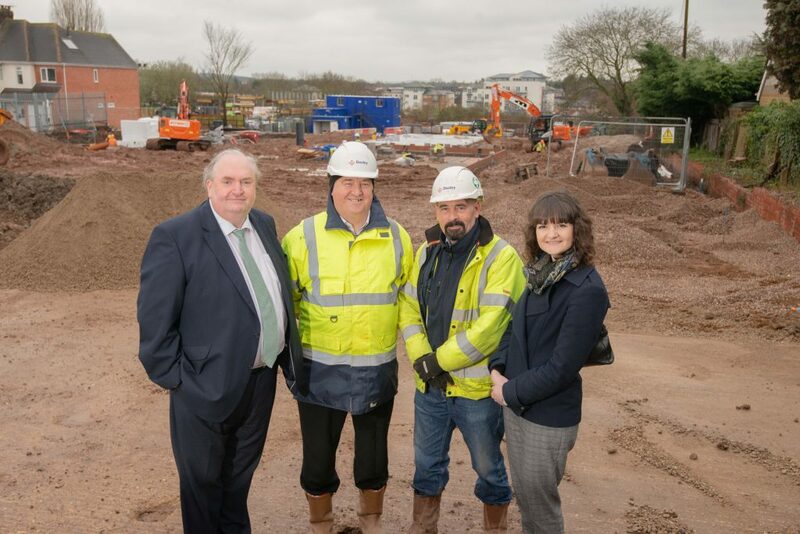 The existing buildings have already been demolished and the first foundations have been laid for the properties – four of which will be available to rent while a further 14 will be sold as shared ownership aimed at the local community. Deeley Construction, part of the Deeley Group, is carrying out the work on the nine two-bedroom and nine three-bedroom properties, with the first homes expected to be ready by autumn 2018. Pat Moroney, of the Deeley Group, said: “Leamington is crying out for more affordable homes so we are delighted to be working in partnership with Waterloo Housing Group to deliver this project. Parking for each two-storey home will be provided at the front of each property. Anthony Riley, Group Director of Development and Operations at Waterloo Housing Group, said: “We are pleased to be working with the Deeley Group again in Leamington Spa, following the successful completion of the development in Queensway. 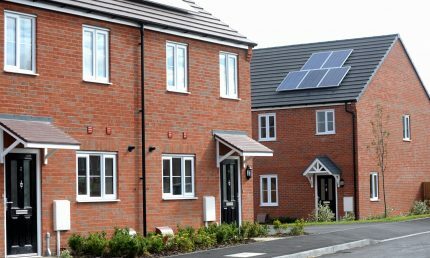 “This scheme provides another great opportunity to work together with the W2 Partnership and Warwick District Council to deliver the much needed new homes for local people”. Warwick District Council’s Portfolio Holder for Housing Services, Councillor Peter Phillips, said: “We welcome the start of construction of new homes on this new site, which alongside current developments of 39 homes on Theatre Street in Warwick and more than 170 homes on Station Approach in Leamington further demonstrates our commitment to the provision of affordable homes in our district. A Coventry-based construction company has showcased its commitment to developing young people by joining an industry led initiative. Deeley Construction has joined The 5% Club, which focuses on driving momentum into the recruitment of apprentices, graduates and sponsored students. The 5% Club, initiated by Leo Quinn CEO of Balfour Beatty in 2013, is a movement of more than 275 employers providing ‘earn and learn’ opportunities to develop the skills and talents people need to become more employable and create meaningful careers. Companies joining The 5% Club commit to raising the number of apprentices, sponsored students and graduates on formal programmes to 5% of their total workforce within five years. Members are also asked to publicly report their progress in their Annual Report. Existing members range from SMEs to FTSEs and cover a number of diverse industries, from engineering through to the legal sector. Deeley Construction has a long-held tradition of growing its own workforce with almost 20 per cent of the company’s staff coming through the firm as an apprentice. It is a proud record that includes managing director Martin Gallagher, who welcomed three new apprentices to the company in the past year. Martin said: “The skills shortage in construction is one of the biggest issues facing our industry but here at Deeley Construction we have always seen apprenticeships as a great route to growing our own and the industry’s future workforce. “I know only too well the benefits of being an apprentice having started my career as one. It gave me the opportunity to work my way up through the business to the point where I am now able to give others the same chance I had. 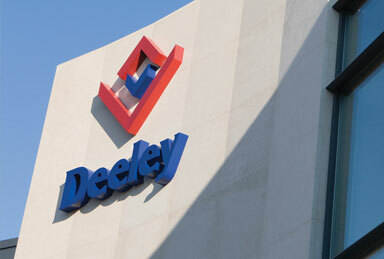 Deeley Construction currently supports three management trainees. Two other staff members are undertaking work sponsored learning programmes which accounts for nine per cent of the total workforce. The company also offers one and two week placements to students from local schools and colleges – giving students a valuable insight into the construction industry. Lady Cobham, Director General of The 5% Club, said: “We’re delighted to welcome Deeley Construction into membership. The 5% Club provides a fantastic network of HR professionals, sharing and learning from each other.